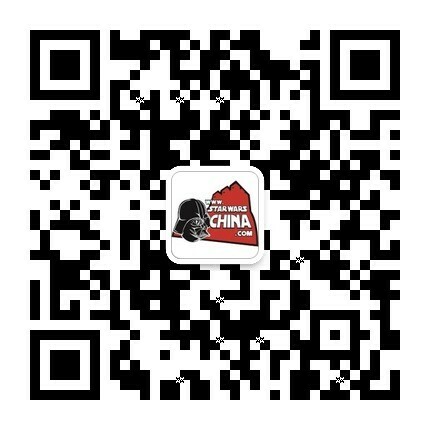 ﻿﻿ 高级侦察突击队（Advanced Recon Commando） - Wookieepedia - 星球大战中文网 Star Wars China - Powered by Discuz! "You are the best; the elite." Advanced Recon Commandos—also known as Advanced Recon Clone troopers or simply ARC troopers—were an elite variant of clone trooper in the Grand Army of the Republic during the Clone Wars. Although less numerous than the other clones, they were among the most skilled soldiers in the galaxy. During the early stages of the clone army's development, Jango Fett and his Mandalorian military advisors advocated the creation of clones capable of handling covert missions too delicate for the standard units. To achieve the desired results, the Kaminoans did not apply the standard behavior correction and enhanced the prime clone's genetic sample to increase physical prowess. The first attempt at genetic alterations failed, resulting in the Null-class ARC troopers. Having learned their lesson, the Kaminoans succeeded in their second attempt, generating the first 100 ARC troopers, designated the Alpha-class. After completing standard flash training and accelerated growth, these clones were placed under the direct tutelage of Jango Fett. Under Fett's strict discipline they learned to use their fierce independence, innate creativity, and physical superiority in combination with their training in advanced weapons and vehicles to become virtual one-man armies. After completing their training, the ARC troopers were locked in stasis on Kamino until they were required. Two months after the Battle of Geonosis, a Confederacy assault on Kamino prompted their early activation. As droid detachments closed in on Tipoca City, Prime Minister Lama Su activated the Advanced Recon Commandos and authorized their deployment to hot-spots across Kamino in a last-ditch effort to save the planet's precious cloning facilities. The ARCs worked with a force of Jedi to repel the droid forces. Following the First Battle of Kamino, the ARCs were integrated into the Grand Army of the Republic. As the ARCs took their place in the larger world, they developed distinct personalities due to their unaltered nature; some gave themselves names, others formed relationships outside the GAR. Once integrated, Advanced Recon Commandos worked as solo operatives or in small squads led by ARC captains, either performing self-contained missions or supplementing larger Grand Army of the Republic operations. It is possible that they trained ordinary clone troopers in ARC techniques and commanded them in squads; due to the limited number of ARCs, it is unlikely that the teams would be comprised only of them. One notable exception was the aftermath of the Battle of Hypori, where a twenty-man ARC trooper team under the leadership of Captain Fordo engaged General Grievous in combat. As the Clone Wars progressed, some battles were won by the Republic largely thanks to the ARC troopers, most notably the Battle of Muunilinst, where the Muunilinst 10 disabled Separatist defenses that were causing damage to Republic forces. Soon, as their reputation spread among the GAR and throughout the galaxy, the Advanced Recon Commandos proved time and time again as to why they were they regarded as the best of the best in the Grand Army. As perfect soldiers, the ARCs and Jango were almost exactly alike; in fact, the leader of the Muunilinst 10, Fordo, had adapted the same blaster-spinning routine as Jango Fett. However, because of their training as independent soldiers, they were more prone to questioning orders. In one unforgettable incident on Ord Cestus, ARC trooper Alpha 98 (known as Nate and later as Jangotat) disobeyed an order from his Jedi commander and sacrificed his life to destroy a local group of despots. The Advanced Recon Commando tradition did not end with the death of Jango Fett in 22 BBY. Following his escape from Rattatak in early 20 BBY, Alpha, one of the earliest ARCs, returned to Kamino to train the second generation clone trooper commanders as Fett had trained him. These commanders, like Bacara and Cody, adopted the individualized practices of the ARCs and brought a new sense of creativity to the Grand Army of the Republic. After the Clone Wars, all surviving ARCs were offered either retirement or the option to train their successors, the stormtroopers, passing on their combat experience. These new ARC troopers were also rumored to have undergone intensive deep core programming. Some even defected to the Alliance to Restore the Republic while others went rogue, following in Jango Fett's footsteps by becoming bounty hunters and assassins. A number of ARC troopers were assigned to become part of the Imperial Commando Special Unit, a special forces unit that was attached to the elite 501st Legion. Some ARC troopers, possibly a new batch, took part in the Kamino uprising by leading the secretly grown clone anti-Imperial troopers against the Imperial stormtroopers of the 501st Legion in a fight to liberate Kamino from the Empire. The anti-Imperial clones failed, however. During the Empire's reign, specialized stormtroopers known as shock troopers bore armor similar to that used by ARC troopers. They were also armed with DC-17 hand blasters. ARC troopers leading the defense of Kamino. An ARC lieutenant, ARC captain and clone trooper private. ARC commander: Although some ARC trooper captains were promoted to the rank of commander and wore yellow ARC trooper armor, most of the officers that were labeled an "ARC Commander" were not originally Alpha-class ARC troopers. These ARC commanders were regular clone officer commanders that were specially trained by Alpha-17 to instill more independence, aggressiveness, and to think out side the box. ARC captain: These ARCs were higher in rank than ARC lieutenants. They wore red-striped ARC trooper armor and also led ARC lieutenants into battles. ARC lieutenant: These were the first and most common ARCs during the Clone Wars. They fought in various battles including the Battle of Muunilinst and wore blue-striped armor. ARC sergeant: ARC Sergeants wore green-striped armor. The only known ARC sergeant was the Null ARC Trooper A'den. The Alpha training program was a program designed to train clone trooper commanders with ARC training. During this training, the ARC trained clone commanders were taught to think outside the box and to bring out their independence and tactical genius. They became some of the most outspoken and independent clones, and those who graduated Alpha-17's program were awarded the title of ARC commander, becoming a tight fraternity of elite soldiers. Created early in the war, ARC troopers wore a more advanced and versatile version of the Phase I armor, along with command pauldrons and kamas. They commonly had a periscope rangefinder attachment on the right side of their helmets, similar to Mandalorian helmets. While each mission profile required a different loadout, ARC troopers were commonly armed with the WESTAR-M5 blaster rifle, DC-15A blaster rifles, DC-17 hand blasters, and frag and reverse-polarity pulse grenades. When heavier firepower was required, ARCs donned specialized armor to bear the weight of reciprocating quad blasters, PLX-1 portable missile launchers, or Z-6 rotary blaster cannons. Many individual ARC Troopers also had bandoliers and pouches for extra equipment, such as EMP grenades and extra ammunition. ARCs received training that gave them access to vehicles which usually required a specialized clone trooper to operate. To enhance ground range and mobility, ARCs made use of the BARC speeder, named for the Biker Advanced Recon Commandos who used it. For small squad operations, Advanced Recon Commando pilots piloted LAAT/i gunships to drop units behind enemy lines. Advanced Recon Commando heavy gunners used heavy weapons. "ARCs were not team players." ARC troopers deploy from a LAAT/i on Hypori. ARC Troopers were intended to be the clone trooper equivalent of a Navy Seal, and also seem to serve as the Republic's pararescue force on occasions where personnel (particularly Jedi) need extracation from behind enemy lines. ARC Troopers were originally supposed to be called Clone Scouts. Dark Horse Comics, however, came up with the idea that their name should be an acronym. According to Genndy Tartakovsky on the Star Wars: Clone Wars: Volume II DVD commentary, the design of the ARC troopers came from Hasbro. In Star Wars: Battlefront, the ARC troopers (named in the game) are the heavy weapons specialist. They appear in the campaign's Geonosis mission. As the ARCs were in stasis at that time, they were not canonically present at the battle there. In Star Wars: Battlefront II, the clone heavy troopers on Geonosis are given the appearance of ARC troopers. As the ARCs were in stasis at that time, they were not canonically present at the battle there. ARC Troopers are the only other group of people outside of the Mandalorians that have been referred to as Supercommandos. ARC Troopers had special programming that allowed them to act without thinking. They claimed it was similar to the Jedi's use of the Force. ARC Trooper Commanders wore yellow armor.